Poised for adventure, the 2019 BMW X3 Sports Activity Vehicle® can take you over highways and through the rough with it’s 8″ of ground clearance and xDrive Intelligent All-Wheel Drive option. The 8-speed Steptronic Sport automatic transmission with shift paddles delivers fine-tuned performance, and dual engine options let you decide how much power you need. Thanks to the split fold-down rear seats, you’ll enjoy 62.7 cu. ft. cargo space on the inside in addition to a trailer hitch option to provide ample hauling capability. 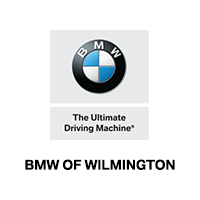 Take the new BMW X3 for a test drive in Wilmington, NC. NAV, Sunroof, Heated Seats, Rear Air, Back-Up Camera, Power Liftgate, HEATED FRONT SEATS , PANORAMIC MOONROOF , WHEELS: 19 X 7.5 (STYLE 692), NAVIGATION SYSTEM, Turbo, All Wheel Drive. EPA 29 MPG Hwy/22 MPG City! OPTION PACKAGES NAVIGATION SYSTEM Remote Services, Advanced Real-Time Traffic Information, Apple CarPlay Compatibility, 1 year trial, In-Dash CD Player, PANORAMIC MOONROOF, WHEELS: 19 X 7.5 (STYLE 692) V-spoke, Tires: 245/50R19 AS Run-Flat, DRIVING ASSISTANCE PACKAGE Active Driving Assistant, rear cross-traffic alert, Active Blind Spot Detection, Lane Departure Warning, HEATED FRONT SEATS. Fuel economy calculations based on original manufacturer data for trim engine configuration. Moonroof, Heated Seats, Nav System, Rear Air, Back-Up Camera, Power Liftgate, HEATED FRONT SEATS , PANORAMIC MOONROOF , WHEELS: 19 X 7.5 (STYLE 692), NAVIGATION SYSTEM, Turbo Charged Engine. FUEL EFFICIENT 29 MPG Hwy/22 MPG City! OPTION PACKAGES NAVIGATION SYSTEM Remote Services, Advanced Real-Time Traffic Information, Apple CarPlay Compatibility, 1 year trial, In-Dash CD Player, PANORAMIC MOONROOF, WHEELS: 19 X 7.5 (STYLE 692) V-spoke, Tires: 245/50R19 AS Run-Flat, DRIVING ASSISTANCE PACKAGE Active Driving Assistant, rear cross-traffic alert, Active Blind Spot Detection, Lane Departure Warning, HEATED FRONT SEATS. Fuel economy calculations based on original manufacturer data for trim engine configuration. Heated Seats, Sunroof, NAV, Back-Up Camera, iPod/MP3 Input, Rear Air, NAVIGATION SYSTEM , HEATED FRONT SEATS , WHEELS: 19 X 7.5 V-SPOKE (STYLE 692. CONVENIENCE PACKAGE, Turbo, Power Liftgate. EPA 30 MPG Hwy/23 MPG City! OPTION PACKAGES CONVENIENCE PACKAGE LED Headlights w/Cornering Lights, Panoramic Moonroof, SiriusXM Satellite Radio, 1 year All Access subscription, Comfort Access Keyless Entry, Lumbar Support, NAVIGATION SYSTEM Remote Services, Advanced Real-Time Traffic Information, Apple CarPlay Compatibility, 1 year trial, WHEELS: 19 X 7.5 V-SPOKE (STYLE 692) Tires: 245/50R19 All-Season Run-Flat, DRIVING ASSISTANCE PACKAGE Active Driving Assistant, Active Blind Spot Detection, Lane Departure Warning, HEATED FRONT SEATS. Fuel economy calculations based on original manufacturer data for trim engine configuration. Sunroof, NAV, Heated Seats, Rear Air, Back-Up Camera, iPod/MP3 Input, NAVIGATION SYSTEM , CONVENIENCE PACKAGE , WHEELS: 19 X 7.5 V-SPOKE (STYLE 692. HEATED FRONT SEATS, Power Liftgate, Turbo. EPA 30 MPG Hwy/23 MPG City! OPTION PACKAGES CONVENIENCE PACKAGE LED Headlights w/Cornering Lights, Panoramic Moonroof, SiriusXM Satellite Radio, 1 year All Access subscription, Comfort Access Keyless Entry, Lumbar Support, DRIVING ASSISTANCE PLUS PACKAGE Active Driving Assistant Plus, active cruise control w/stop and go, active lane keeping assistant w/side collision avoidance, traffic jam assistant, evasion aid and front cross-traffic alert, NAVIGATION SYSTEM Remote Services, Advanced Real-Time Traffic Information, Apple CarPlay Compatibility, 1 year trial, WHEELS: 19 X 7.5 V-SPOKE (STYLE 692) Tires: 245/50R19 All-Season Run-Flat, HEATED FRONT SEATS, DRIVING ASSISTANCE PACKAGE Active Driving Assistant, Active Blind Spot Detection, Lane Departure Warning. Fuel economy calculations based on original manufacturer data for trim engine configuration. Heated Seats, Navigation, Sunroof, Power Liftgate, Rear Air, Back-Up Camera, PANORAMIC MOONROOF , HEATED FRONT SEATS , HEATED STEERING WHEEL , WHEELS: 19 X 7.5 (STYLE 692), All Wheel Drive. FUEL EFFICIENT 29 MPG Hwy/22 MPG City! OPTION PACKAGES NAVIGATION SYSTEM Remote Services, Advanced Real-Time Traffic Information, Apple CarPlay Compatibility, 1 year trial, In-Dash CD Player, PANORAMIC MOONROOF, WHEELS: 19 X 7.5 (STYLE 692) V-spoke, Tires: 245/50R19 AS Run-Flat, HEATED FRONT SEATS, DRIVING ASSISTANCE PACKAGE Active Driving Assistant, rear cross-traffic alert, Active Blind Spot Detection, Lane Departure Warning, HEATED STEERING WHEEL. Fuel economy calculations based on original manufacturer data for trim engine configuration. Moonroof, Heated Seats, Nav System, Power Liftgate, Rear Air, Back-Up Camera, All Wheel Drive, HEATED FRONT SEATS , NAVIGATION SYSTEM , WHEELS: 19 X 7.5 (STYLE 692), TRAILER HITCH, Hitch. FUEL EFFICIENT 29 MPG Hwy/22 MPG City! OPTION PACKAGES CONVENIENCE PACKAGE LED Headlights w/Cornering Lights, Panoramic Moonroof, SiriusXM Satellite Radio, 1 year All Access subscription, Comfort Access Keyless Entry, Lumbar Support, NAVIGATION SYSTEM Remote Services, Advanced Real-Time Traffic Information, Apple CarPlay Compatibility, 1 year trial, In-Dash CD Player, WHEELS: 19 X 7.5 (STYLE 692) V-spoke, Tires: 245/50R19 AS Run-Flat, DRIVING ASSISTANCE PACKAGE Active Driving Assistant, rear cross-traffic alert, Active Blind Spot Detection, Lane Departure Warning, HEATED FRONT SEATS. Fuel economy calculations based on original manufacturer data for trim engine configuration. FUEL EFFICIENT 30 MPG Hwy/23 MPG City! iPod/MP3 Input, Alloy Wheels, Turbo, Power Liftgate, Back-Up Camera, Rear Air. Fuel economy calculations based on original manufacturer data for trim engine configuration. Sunroof, Heated Seats, NAV, Back-Up Camera, iPod/MP3 Input, PREMIUM PACKAGE, DRIVING ASSISTANCE PACKAGE, CONVENIENCE PACKAGE, Alloy Wheels, Power Liftgate, Rear Air, Turbo. EPA 30 MPG Hwy/23 MPG City! OPTION PACKAGES PREMIUM PACKAGE Heated Front Seats, Head-Up Display, Navigation System, Remote Services, Advanced Real-Time Traffic Information, Apple CarPlay Compatibility, 1 year trial, Wheels: 19 x 7.5 V-Spoke (Style 692), Tires: 245/50R19 All-Season Run-Flat, Heated Steering Wheel, CONVENIENCE PACKAGE LED Headlights w/Cornering Lights, Panoramic Moonroof, SiriusXM Satellite Radio, 1 year All Access subscription, Comfort Access Keyless Entry, Lumbar Support, DRIVING ASSISTANCE PACKAGE Active Driving Assistant, Active Blind Spot Detection, Lane Departure Warning. Fuel economy calculations based on original manufacturer data for trim engine configuration. Sunroof, Heated Seats, Navigation, Back-Up Camera, iPod/MP3 Input, Rear Air, DRIVING ASSISTANCE PACKAGE, CONVENIENCE PACKAGE, FRONT VENTILATED SEATS, PREMIUM PACKAGE, Turbo Charged. FUEL EFFICIENT 30 MPG Hwy/23 MPG City! OPTION PACKAGES PREMIUM PACKAGE Heated Front Seats, Head-Up Display, Navigation System, Remote Services, Advanced Real-Time Traffic Information, Apple CarPlay Compatibility, 1 year trial, Wheels: 19 x 7.5 V-Spoke (Style 692), Tires: 245/50R19 All-Season Run-Flat, Heated Steering Wheel, CONVENIENCE PACKAGE LED Headlights w/Cornering Lights, Panoramic Moonroof, SiriusXM Satellite Radio, 1 year All Access subscription, Comfort Access Keyless Entry, Lumbar Support, DRIVING ASSISTANCE PACKAGE Active Driving Assistant, Active Blind Spot Detection, Lane Departure Warning Fuel economy calculations based on original manufacturer data for trim engine configuration. Heated Seats, Nav System, Moonroof, Power Liftgate, Rear Air, Back-Up Camera, NAVIGATION SYSTEM, CONVENIENCE PACKAGE, HEATED STEERING WHEEL, HEATED FRONT SEATS, All Wheel Drive, Turbo Charged Engine. EPA 29 MPG Hwy/22 MPG City! OPTION PACKAGES CONVENIENCE PACKAGE LED Headlights w/Cornering Lights, Panoramic Moonroof, SiriusXM Satellite Radio, 1 year All Access subscription, Comfort Access Keyless Entry, Lumbar Support, NAVIGATION SYSTEM Remote Services, Advanced Real-Time Traffic Information, Apple CarPlay Compatibility, 1 year trial, In-Dash CD Player, DRIVING ASSISTANCE PACKAGE Active Driving Assistant, rear cross-traffic alert, Active Blind Spot Detection, Lane Departure Warning Fuel economy calculations based on original manufacturer data for trim engine configuration. Heated Seats, Navigation, Moonroof, Rear Air, Back-Up Camera, iPod/MP3 Input, DRIVING ASSISTANCE PACKAGE, PREMIUM PACKAGE, TRAILER HITCH, CONVENIENCE PACKAGE, Power Liftgate, Turbo Charged. FUEL EFFICIENT 30 MPG Hwy/23 MPG City! OPTION PACKAGES PREMIUM PACKAGE Heated Front Seats, Head-Up Display, Navigation System, Remote Services, Advanced Real-Time Traffic Information, Apple CarPlay Compatibility, 1 year trial, Wheels: 19 x 7.5 V-Spoke (Style 692), Tires: 245/50R19 All-Season Run-Flat, Heated Steering Wheel, CONVENIENCE PACKAGE LED Headlights w/Cornering Lights, Panoramic Moonroof, SiriusXM Satellite Radio, 1 year All Access subscription, Comfort Access Keyless Entry, Lumbar Support, DRIVING ASSISTANCE PACKAGE Active Driving Assistant, Active Blind Spot Detection, Lane Departure Warning. Fuel economy calculations based on original manufacturer data for trim engine configuration. Sunroof, NAV, Heated Seats, Rear Air, Back-Up Camera, iPod/MP3 Input, CONVENIENCE PACKAGE, DRIVING ASSISTANCE PACKAGE, FRONT VENTILATED SEATS, harman/kardon SURROUND SOUND SYSTEM, Turbo. FUEL EFFICIENT 30 MPG Hwy/23 MPG City! OPTION PACKAGES PREMIUM PACKAGE Heated Front Seats, Head-Up Display, Navigation System, Remote Services, Advanced Real-Time Traffic Information, Apple CarPlay Compatibility, 1 year trial, Wheels: 19 x 7.5 V-Spoke (Style 692), Tires: 245/50R19 All-Season Run-Flat, Heated Steering Wheel, CONVENIENCE PACKAGE LED Headlights w/Cornering Lights, Panoramic Moonroof, SiriusXM Satellite Radio, 1 year All Access subscription, Comfort Access Keyless Entry, Lumbar Support, DRIVING ASSISTANCE PACKAGE Active Driving Assistant, Active Blind Spot Detection, Lane Departure Warning Fuel economy calculations based on original manufacturer data for trim engine configuration.